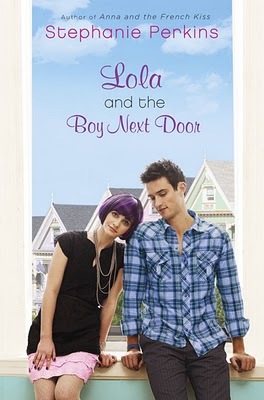 While I LOVE the original covers, especially the one for LOLA, I really like the new ones. Like you said, they're sophisticated, and I also think they'll appeal to a wider audience. The colors and fonts match really well and capture the fun, romantic, and beauty of the stories. I agree! And I forgot to mention--I love the little heart and star and rose! I'm glad you brought this up. I admit I was mad at first when I saw the new covers. My thought was a whine: "Why are they changing these now? The new book won't match what I have." But like you I grew to like the idea. And I see the beauty of the new covers now. I absolutely ADORE the new covers! I still haven't read the series yet, but I'm waiting until the new covers are released, because I would love to have these as a set. I think this might actually help the books, as well. A lot of people had/have put off this book because they thought the covers were cheesy, so hopefully this broadens the audience! I wish we could see Isla on the cover but I'm really fond of the new ones and like all of the little details they have that relate to the book's story. The original LOLA cover is still a favorite but I like the updated ones a lot! I've also come to terms with series books never matching if I buy all of them since it seems like every series is getting re-packaged mid-series lately! I did like the original covers, but I always prefer covers that don't show the protagonists to ones that do. I like to imagine them myself!